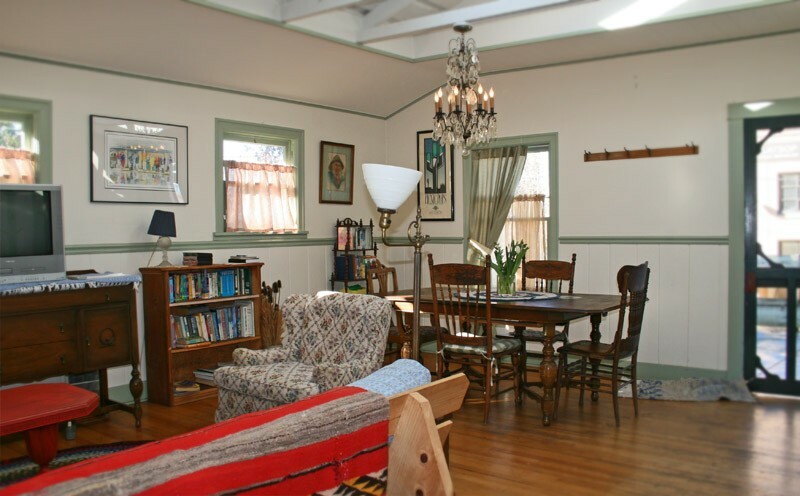 Moose Lodge Vacation Rentals — two vacation cottages accommodating up to 6 people each. The Moose Temple Lodge, or Moose Lodge as we call it, is a separate house adjacent to Clementine’s Bed and Breakfast (see photo above — Moose Lodge is house to right) yet still part of the overall property. 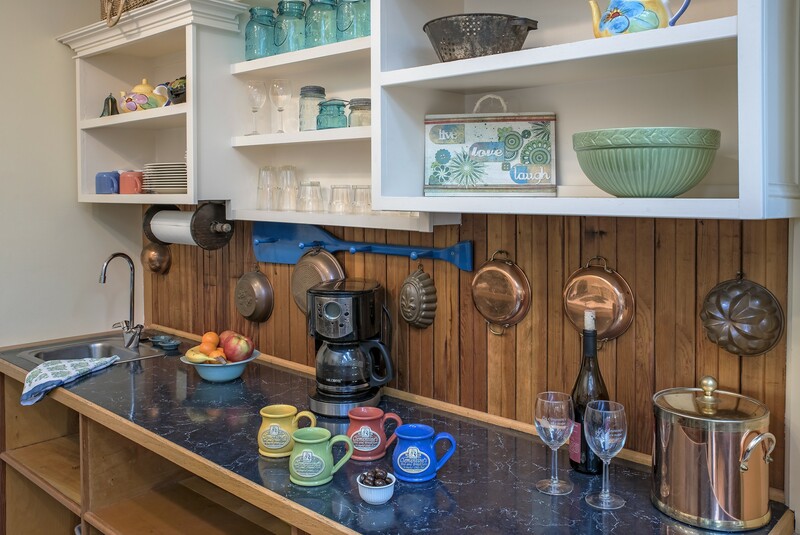 It is a large house separated into versatile individual private spaces and perfect for larger parties of 4 to 6 people, families with children or folks with pets (please read our Pet Policy). It is historically known as The Job Ross House and some say it is the oldest building in Astoria vintage 1850’s. After about 1900 for fifty years it became the home of the Moose Temple, a fraternal club, then was the Mormon Church til the 1950’s. 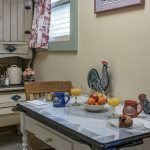 The 1850’s building has been charmingly renovated with skylights, refinished fir wood floors, gas fireplaces and enjoyed new life as Judith’s restaurant, The Lagniappe Cafe, in the mid 90’s then evolved into the present day lodging decorated in a casual cottage motif with a fun collection of primitives and elderly pieces. 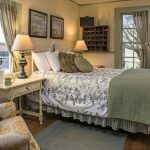 Two separate quarters are available each with private entrance, Moose Suites and the Riverview Loft. Breakfast is not provided, and a minimum of 2 nights is required. Pet Fee and/or extra person fee over 4 people is accessed. Weekly rental rates are available. See seasonal rate range below for each property. Specific rates will show on availability calendar. Call for weekly rates. 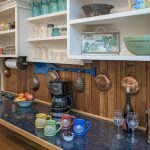 Kitchens in both quarters are well- equipped with dishes and flatware, cooking utensils, small appliances and major appliances. 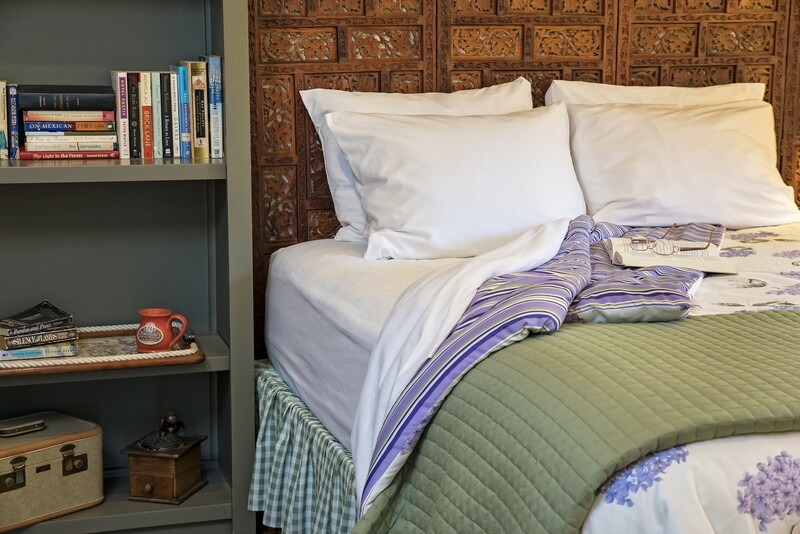 Every room enjoys extraordinary queen beds, 4 pillows and towels and seasonally duvet down comforters. 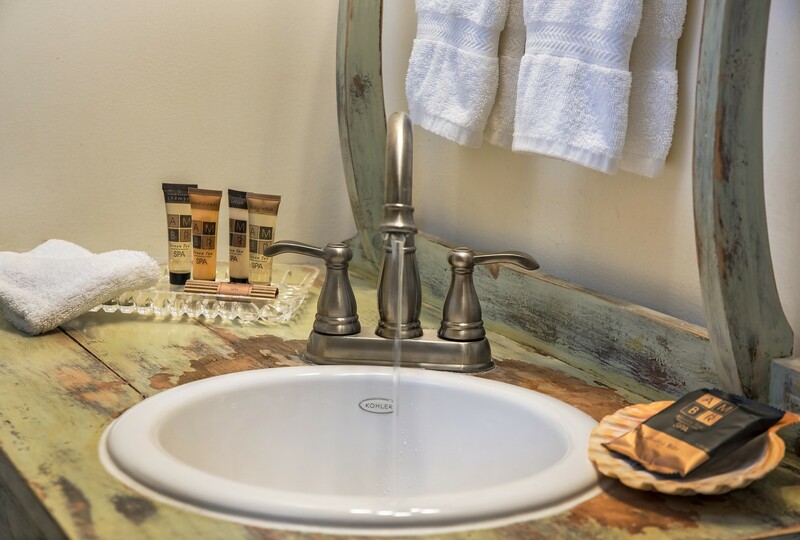 Other amenities include 2-sided vanity mirrors luxury micro-fiber bed linens and spa-quality bath linens and bath accessories, RobeWorks spa robes, and hair dryers. 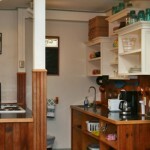 There is free on-street unrestricted parking, free wireless internet. Free off-street parking is also available upon request. 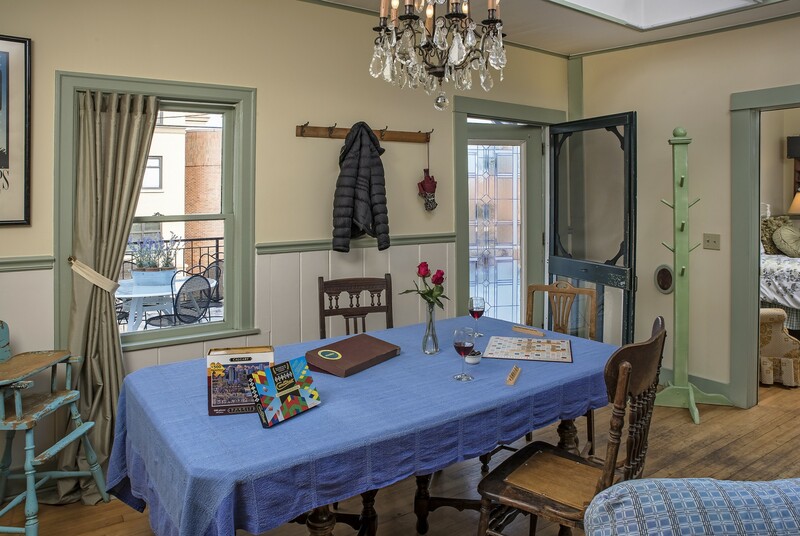 We are located in historic district of Astoria, in close proximity (from 5 to 8 blocks) to the entire downtown sights and activities including shops, restaurants, museums and theaters. 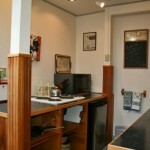 We also offer free wireless internet access. Full Breakfast is available delivered to your door: $10 per person. 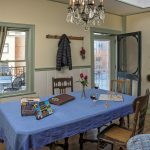 Moose Suites: This rental is a two bedroom suite, each w/ private bath, common area and kitchen; max. capacity: 6 when futon is used as bed in common area. Extra person charge over 4 occupants is applied. 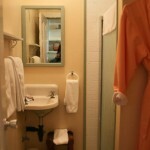 Nightly rate range from $249 to $299 depending on season for 4 person occupancy. Discounts available for weekly rental of 7 days or more. 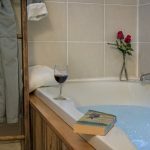 Rates are for 4 people occupancy per night depending on season/holiday, a maximum of 6 people in each suite is possible. 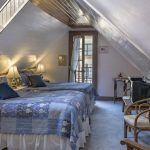 Extra person charge is $25 per night/$15 for children 12 and under. 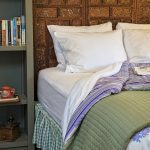 Two night minimum stays required. (check availability calendar for rates on specific dates). Call for weekly rates. 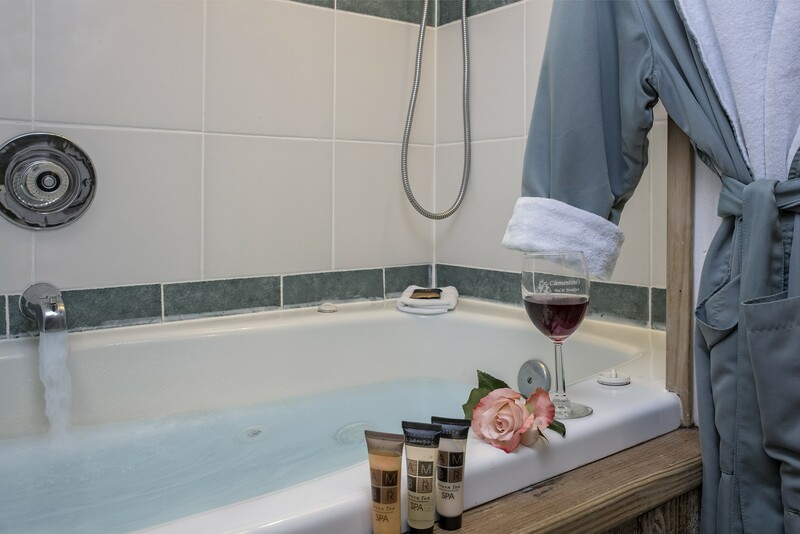 Included in the Moose Suites are 2 private bedrooms; Moose Suite I and Moose Suite II, each with private bath. 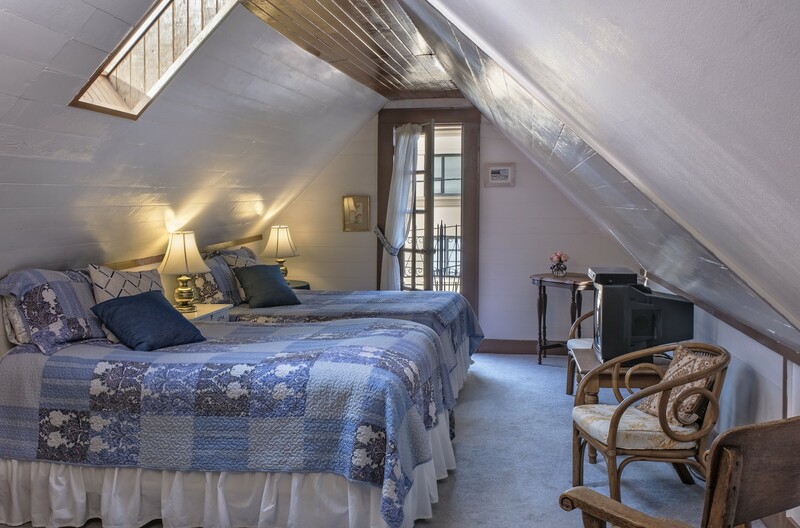 These suites share a comfortable, spacious common area with original beamed ceiling and skylights. 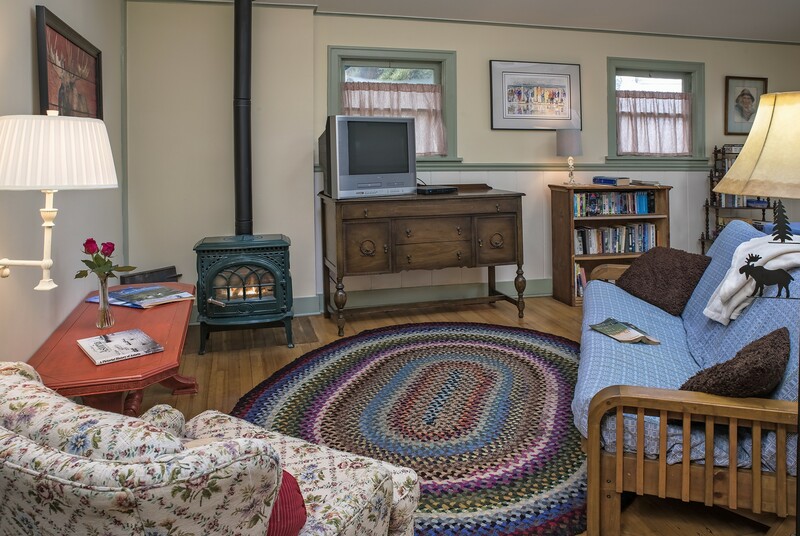 A large gas fireplace heats the common space. 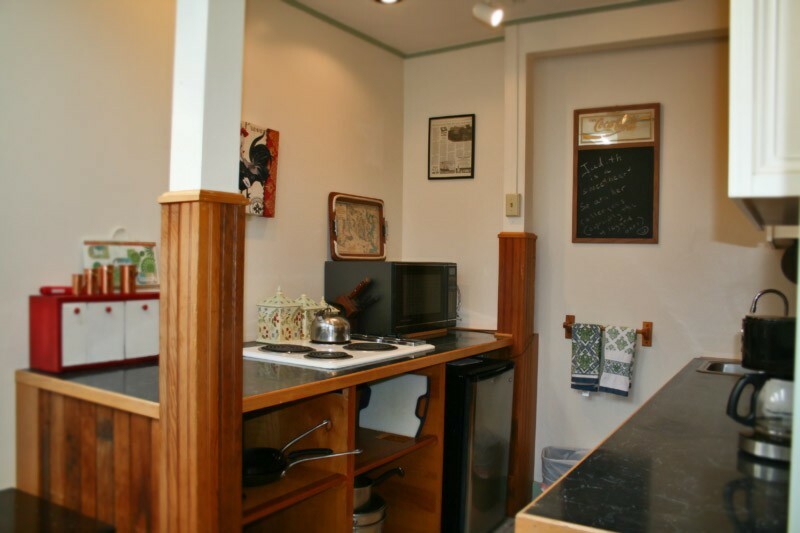 It also has a small kitchen, large dining/game table, comfortable sitting area with a large futon couch (which makes into queen size bed). 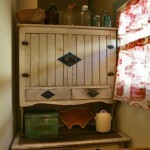 The kitchen has a small refrigerator, electric cook top, a small sink and convection/microwave combo. 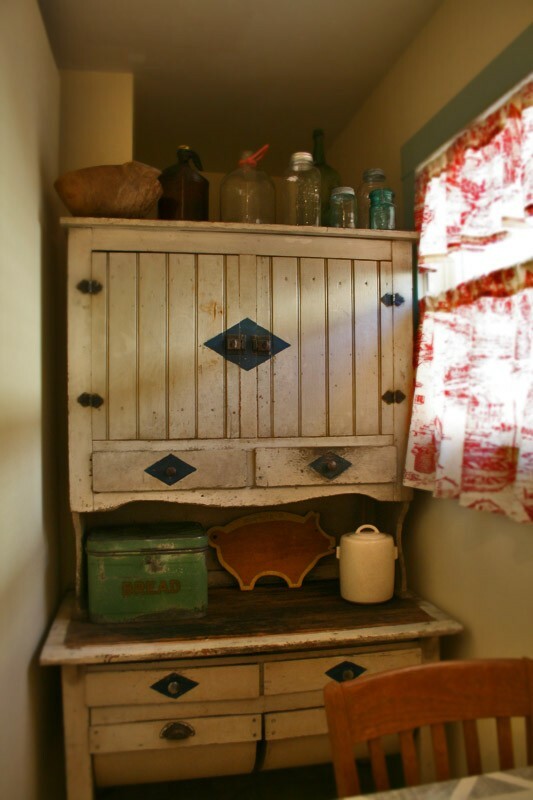 Also provided is a toaster, coffee pot, dishes, flatware and cooking equipment. There is cable TV, and wireless wifi service. 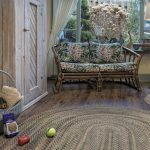 This common area is accessed by a private entrance from a large deck (wheel chair accessible) with tables and chairs and a view of the Flavel House Museum Mansion and gardens. 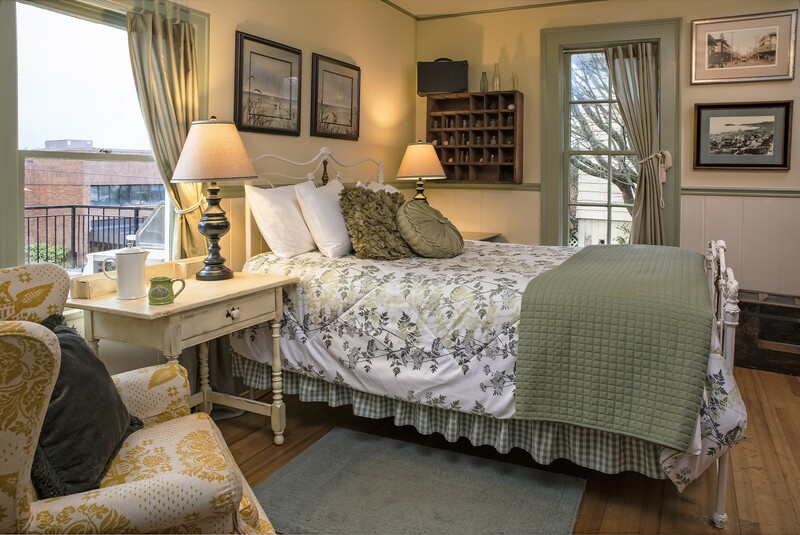 Moose Suite I has a queen size bed with ensuite private bath and large shower, writing desk, primitive armoire and comfortable wing chair for reading. 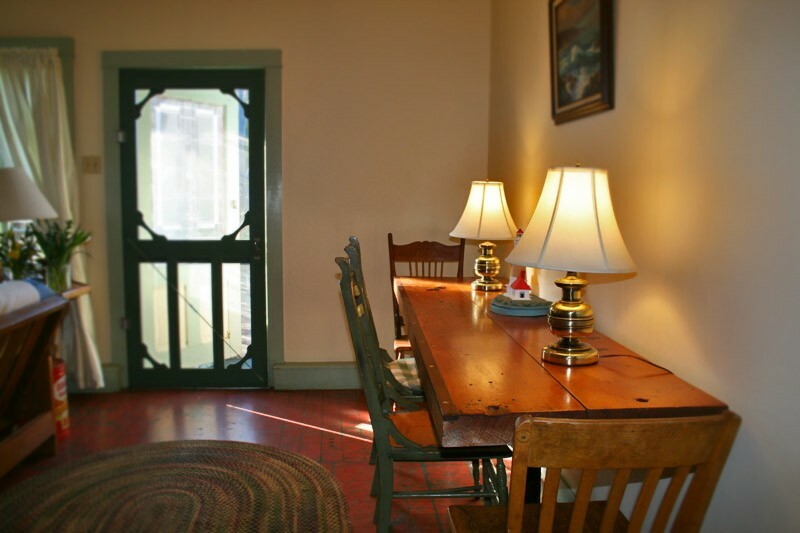 The room sits in a portion of the old construction with original floors and windows. A small cadet wall heater heats the space. 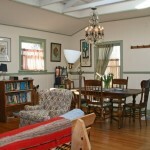 The room opens into the common area. 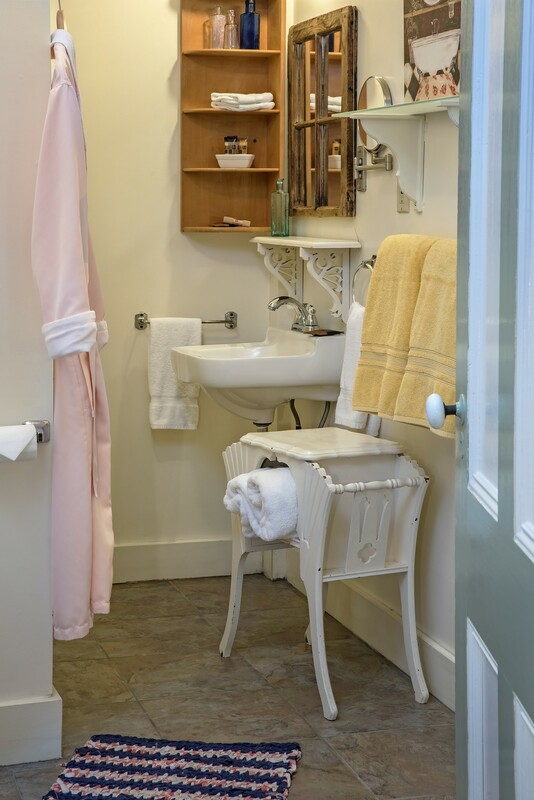 Moose Suite II has ensuite private bath with a large two person Jacuzzi bathtub, a queen size bed and large bookshelves.This space is in the historic portion of the house with original wood floors. A small cadet wall heater heats the room. It opens into the common area. 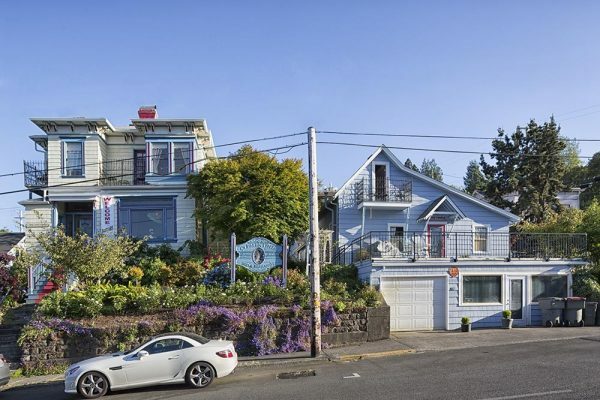 The cottage is located in the National Historic District just a short walk to the Columbia River waterfront and the historic downtown district. A large deck at front entrance offers great seating with tables and deck chairs and view of Flavel House Museum across the street. The capacity increases to 6 if the queen futon is used ($25 per extra person per night). 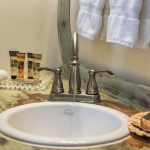 The Moose Suites is pet and family friendly. 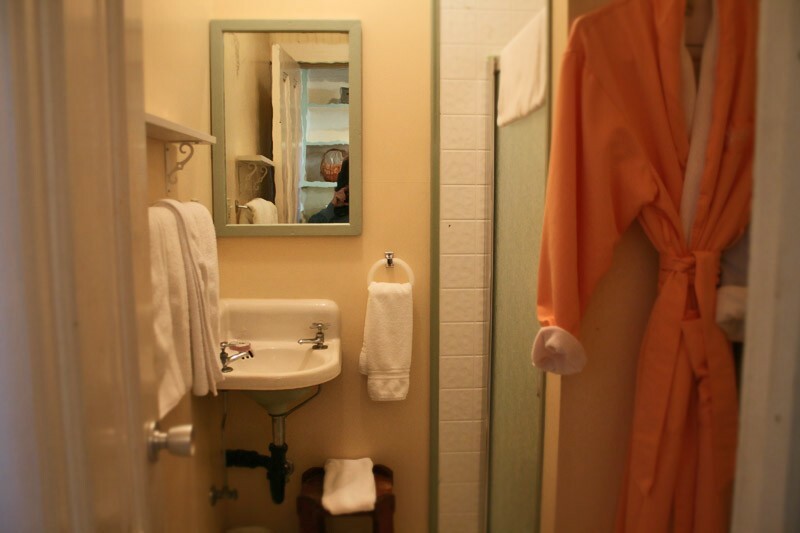 A two night minimum night stay is required and weekly rentals are discounted (please call for weekly rates). Extra person charge over 4 people is $25, $15 for children 12 and under per night. A two night minimum stay is required. Weekly rates are available. Full breakfast delivered: $10 per person. 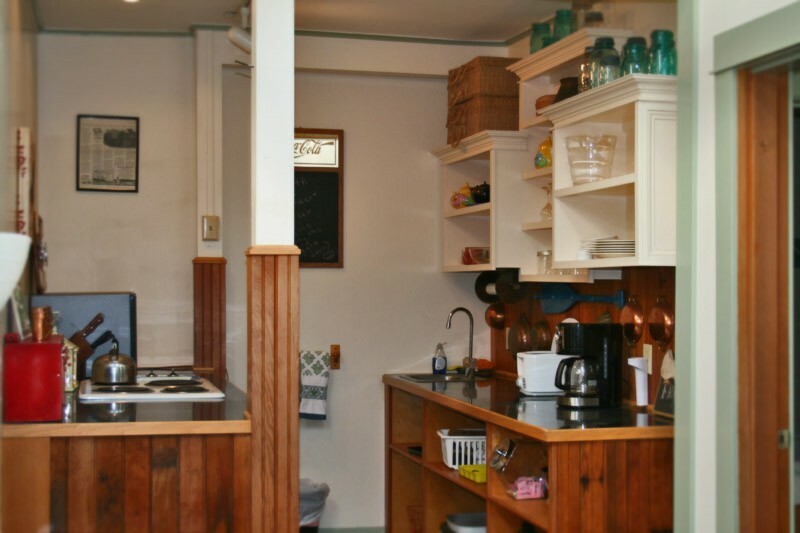 Riverview Loft — private cottage-style rental with second bedroom on 2nd floor, and 2 private baths, (one on each floor), sitting area and full kitchen; max. capacity: up to 6. Private outside balcony has Columbia River view. 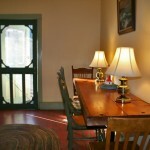 $149 to $199 per night up to 4 people, seasonal/holiday rates (check availability calendar for rates on specific dates). This space has maximum capacity of 6 people. Extra person rate is $25 each per nights.. 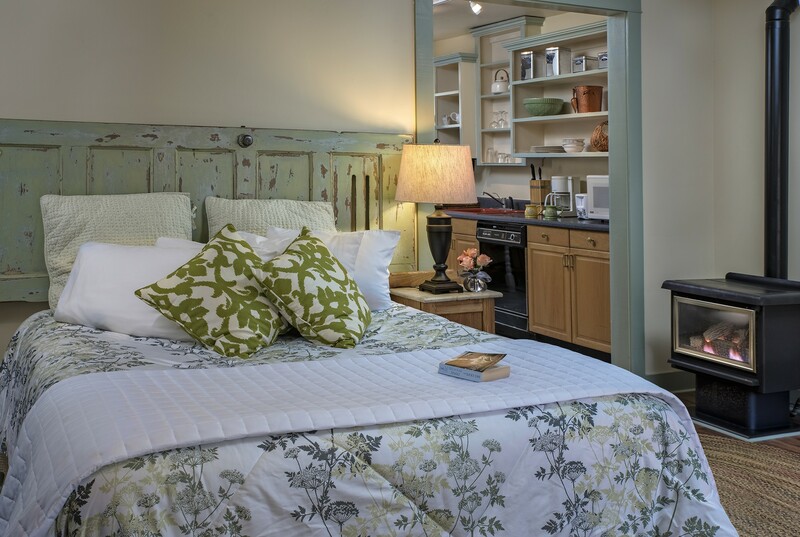 The Riverview Loft is a spacious two-level suite with west-facing private entrance. 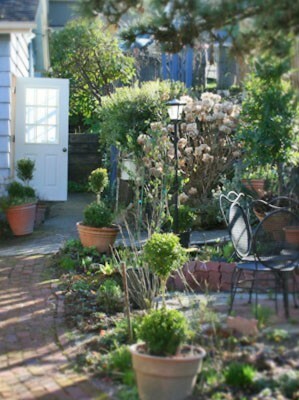 The main floor looks out on a private intimate garden. 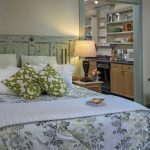 The Loft is pet and family-friendly. 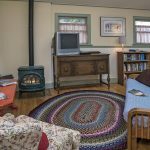 The main floor of the suite includes a queen size bed, comfortable, and spacious sitting area with gas fireplace, a full kitchen, and a small private bath with shower. There is a privacy door between levels. 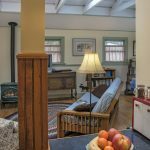 The second floor is a large one-room bedroom with two full/double size beds and has cottage-style pitched ceiling with a skylight. This level is carpeted. 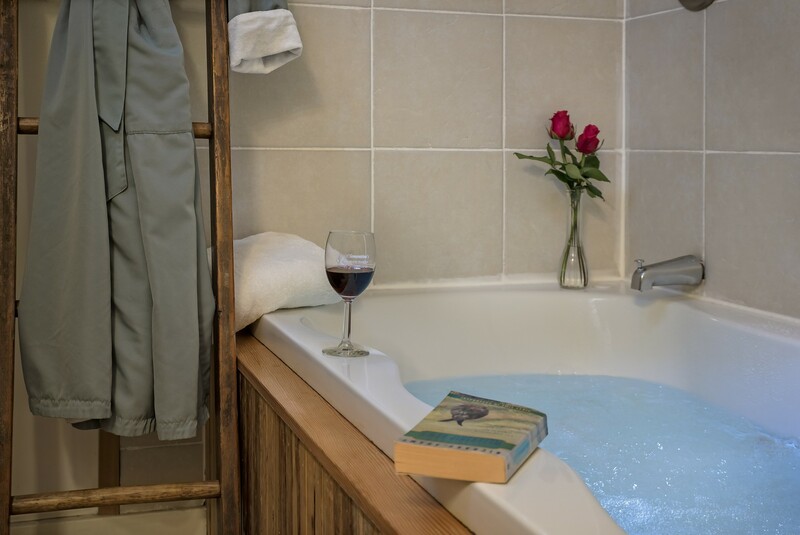 A second private bath in the bedroom offers a Jacuzzi bathtub. 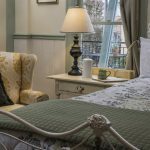 Seating for two is provided on a small private balcony on north side of the room from which guests can enjoy a view of the Columbia River and Flavel House Museum and gardens. A small intimate garden with table and chairs for two lies just outside the entrance. 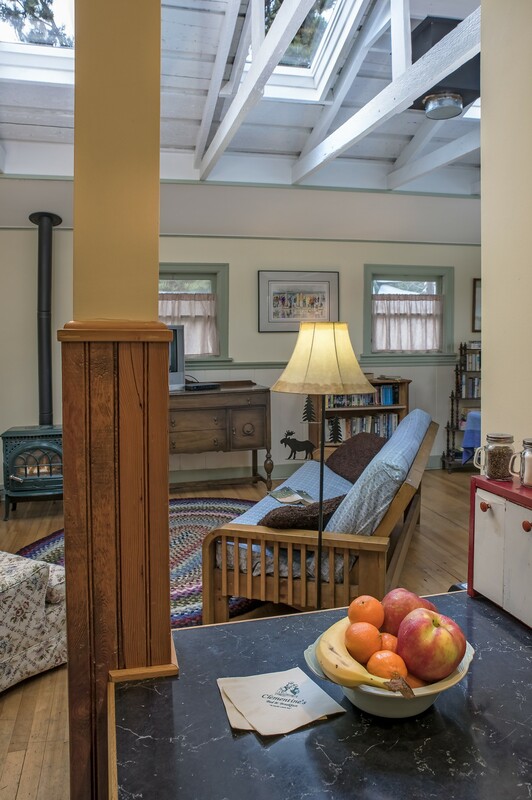 This property is pet and family-friendly. Fees apply for pets and extra people. 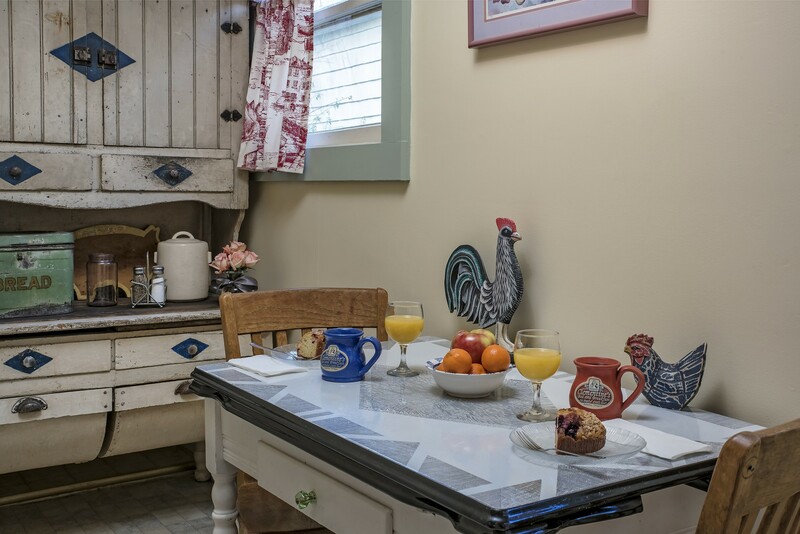 For an additional charge a full breakfast is available for delivery: $10 per person. A two night minimum reservation is required. W to our Availability Calendar and check specific dates. 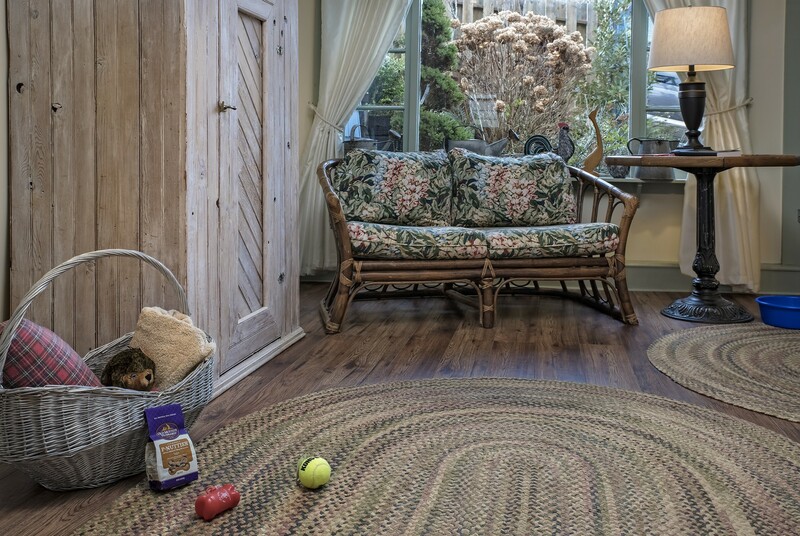 Pets are welcome in the Riverview Loft or Moose Suites only. No size limitation. The fee is $20 per 2-dog capacity for length of stay. We welcome guests with well-behaved house-broken pets. People who travel with their pets are some of the nicest and thoughtful people we have met. We have found almost without question that pet owners are considerate and responsible and in the control of their pets. 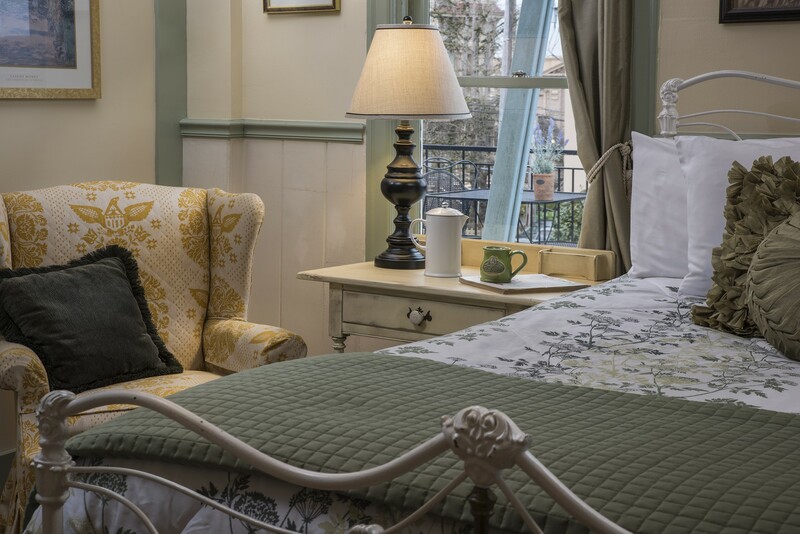 We would prefer guests not allow pets on the furniture or to sleep on the beds. Your pets will probably be more comfortable resting or sleeping on a padded doggie blanket (we can provide one if you need) and will want to be with you on your adventures during the day. Pets are not allowed to stay in the rooms unattended (except at breakfast). We can recommend some great dogwalking places both off and on leash just minutes from our door. We charge a $20 pet fee (up to 2 pets) per length of stay. 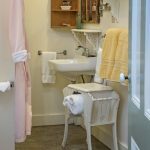 Private large bathroom with shower.